Lightweight yet intensely nourishing, our Moisturizing Day Cream contains a unique blend of organic Davidson plum and snow flower to hydrate and protect your skin. With firming and anti-aging properties, our day cream helps tighten and firm up the skin without drying it out, and will drastically reduce the appearance of expression lines and wrinkles. 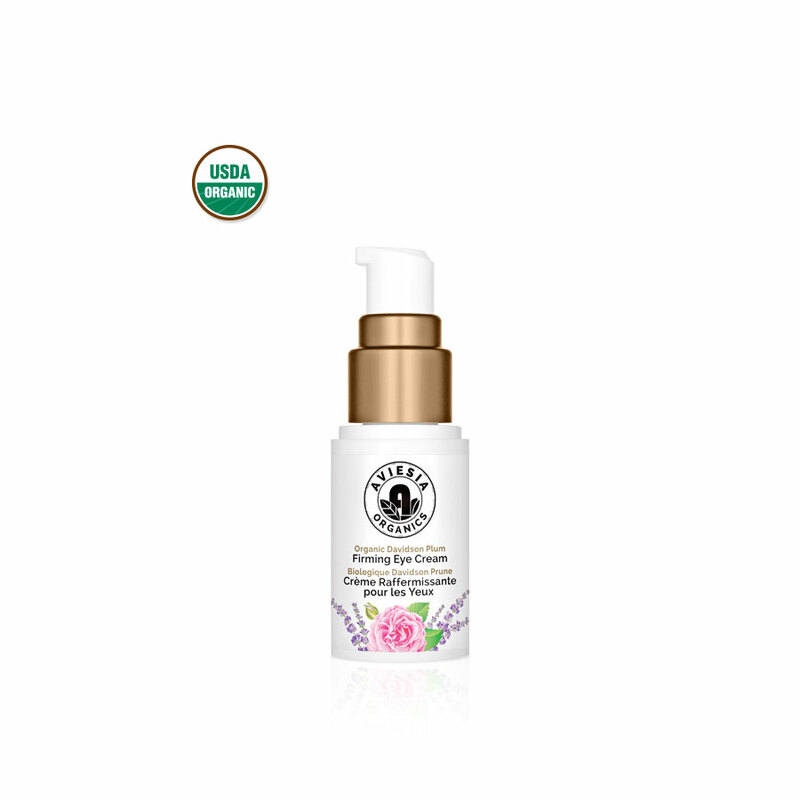 Containing 100% natural skincare ingredients and certified organic to USDA standards, our Moisturizing Day Cream is naturally pure and feels soothing on the skin. Proudly developed and bottled in Canada, our day cream moisturizer contains no artificial fragrance and is made without the use of harmful chemicals, additives, and known skin irritants. Packaged in our innovative airless bottles, our organic day cream remains fresh and pure without the need for synthetic preservatives. 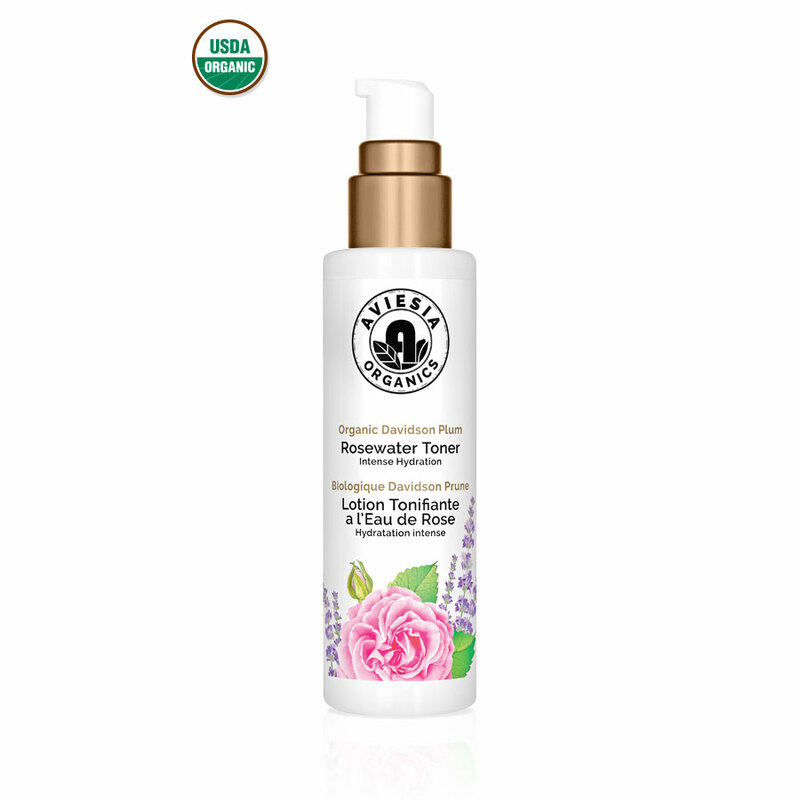 Combining organic snow flower extract plus organic "super fruit" Davidson plum for its ultimate antioxidant and anti-inflammatory benefits, our Moisturizing Day Cream will rejuvenate dry dull skin, restoring your natural glow. 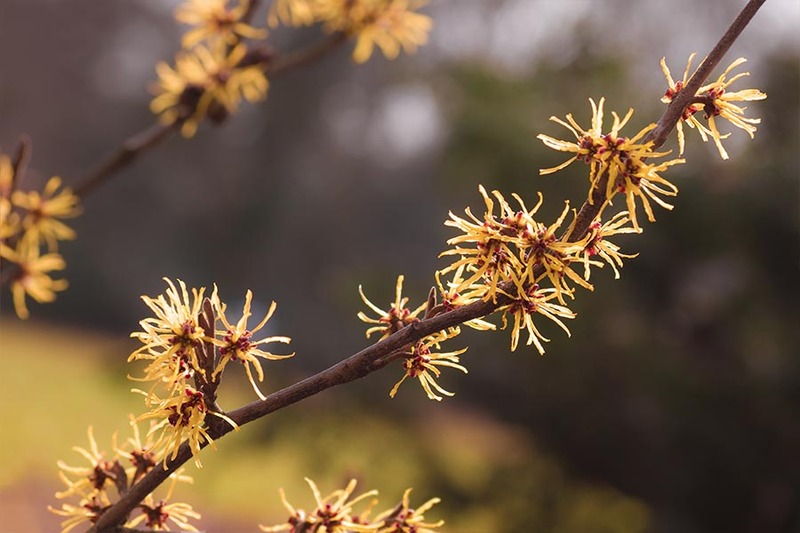 Snow flower helps to stabilize Vitamin C levels and intensify antioxidants, thereby protecting the face against pollution, weather conditions, and free radical damage, even when used underneath make-up. Our organic day cream with Davidson plum will effectively repair damaged skin cells and boost collagen production, plumping out fine lines and restoring the skin's elasticity. With regular use, our organic Moisturizing Day Cream will give you dramatic anti-aging results and renew your skin's youthful radiance. Massage into the face and neck after cleansing, toning and applying serum for naturally beautiful skin. 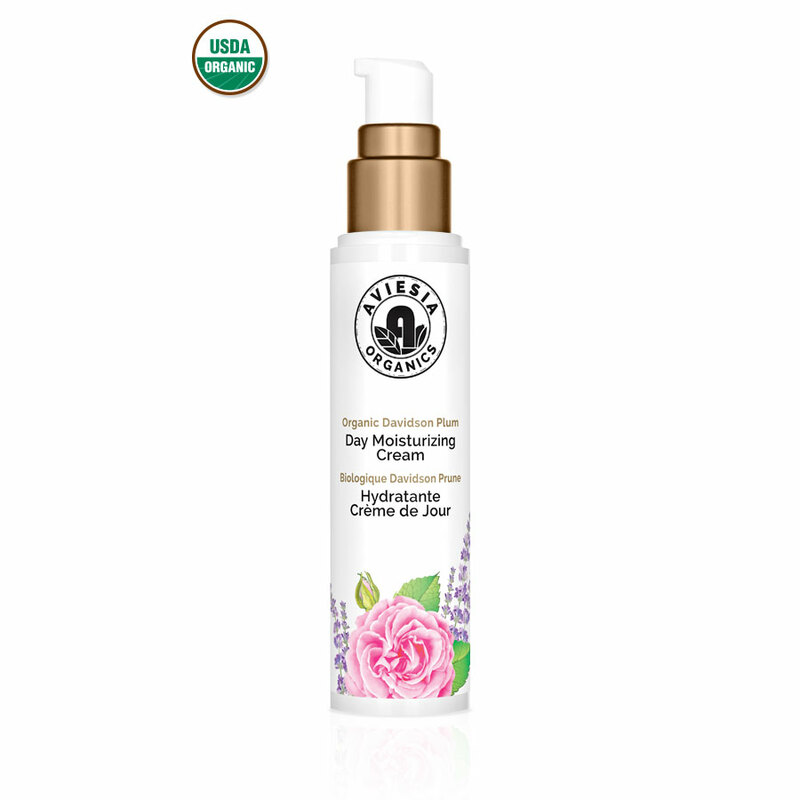 Aviesia Organics Day Moisturizing Cream is delivered in airless bottles. 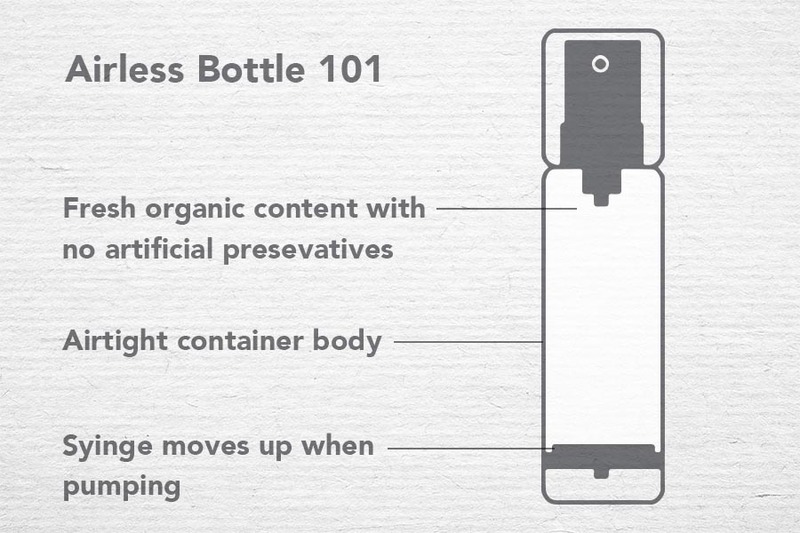 Traditional bottles dispense content by pumping air into the bottle. Air in a bathroom may contain moisture and harmful agents that contaminate the bottle content when introduced. An airless bottle works similar to a medical syringe. When the pump is actuated, a plunger pushes the content up and dispense through the nozzle. The content remains in an airtight compartment all the time. Airless pumping system keeps the organic content fresh without using artificial preservatives. 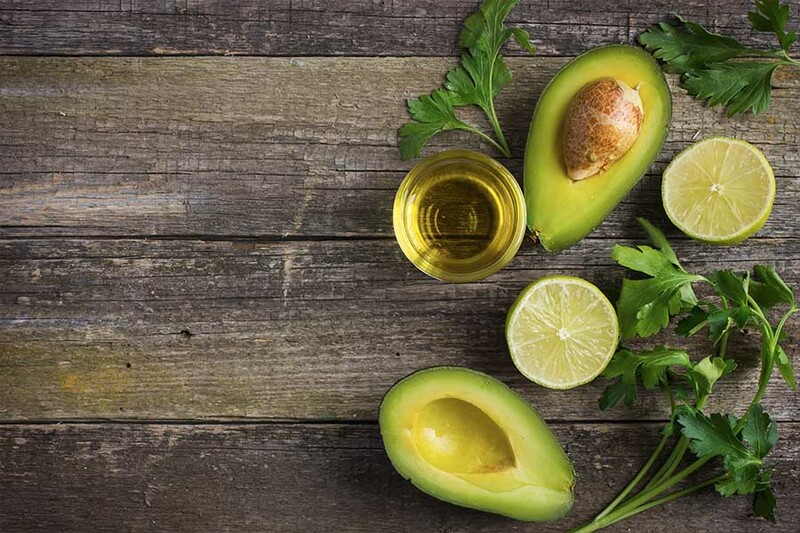 That's how we ensure that every bottle of Aviesia Organics Day Moisturizing Cream is pure natural essence. 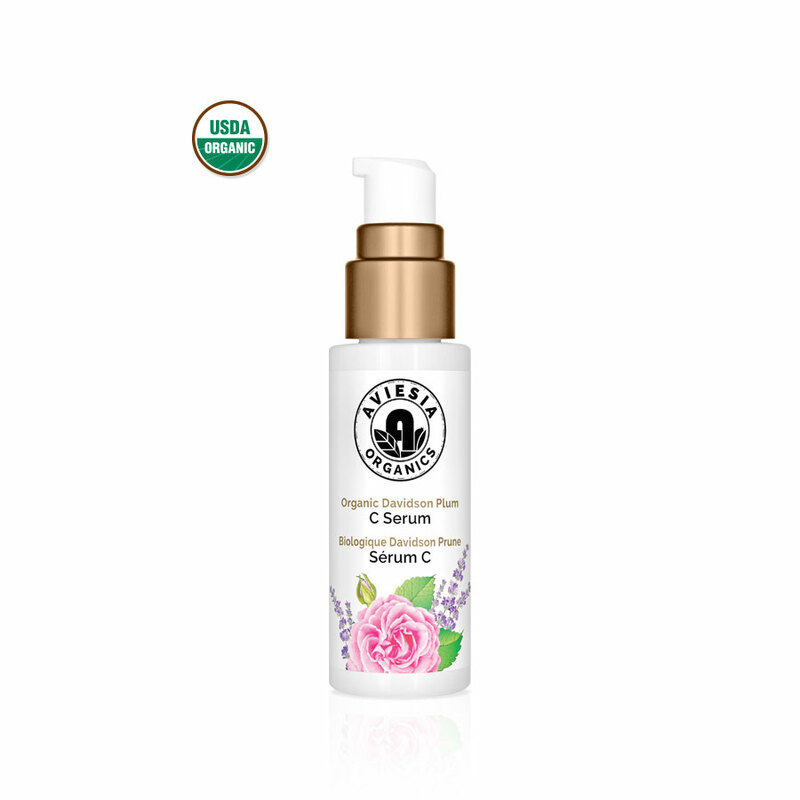 USDA Certified Organic Davidson Plum C Serum. Combined with the benefits of Kakadu Plum, offers the skin the benefits of super fruit antioxidants while boasting incredible amounts of vitamin C.